Since co-founding the DALI Lab [Digital Arts, Leadership & Innovation] at Dartmouth nearly three years ago, I have been devouring books and articles about Salvador Dali. I've been following the life and career of Walt Disney for 30 years because of my work in animation. 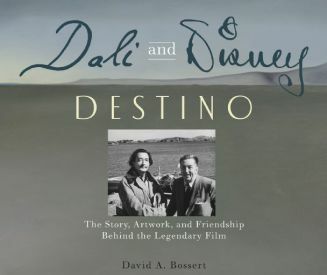 This book brings both together to chronicle the creation of the short animated film, Destino. Dali and Disney started working on the film in 1945, but it wasn't released until 2004, when it was nominated for an Academy Award. The book tells the intriguing story of the friendship and collaboration, and is full of artwork and photos.